MACC AntiDoxx (MAD) aims to defend our comrades from alt-right doxxing and state-issued subpoenas. We develop strategies and training to safeguard our comrades' personal information and communications online. 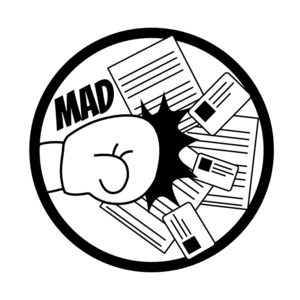 Building a radical form of participatory politics requires defense of information, and MAD is here to help. This page was last edited on 3 March 2019, at 15:46.